Previously, the focus was upon the coaching inn and its connection to Mary Simpson. Now we turn to Mary 2 – Mary Ann Skudder – and her association with mail delivery. 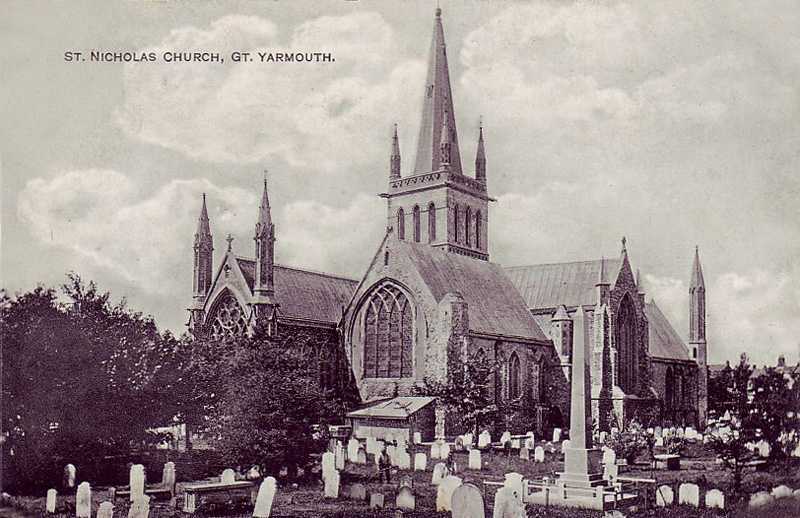 Mary Ann was born in Great Yarmouth, described in Great Expectations by Peggotty as the ‘finest place in the universe’, and baptised in the same church in which her parents married, now designated a minster church and possibly the oldest building in Great Yarmouth. Coachman were not postal employees but hired by the inns at which the coaches arrived. They were famous for their driving ability, so famous in fact that gentlemen adopted the coachman’s dress style rather than the other way around (working people mimicking gentlemen). They wore a drab great coat that might have many short capes layered at the shoulders to lead rain away from their bodies and provide under layers that were not readily wet through. They wore a spotted Belcher handkerchief instead of a cravat, a tall beaver hat, striped waistcoat, white corduroy breeches, and boots. 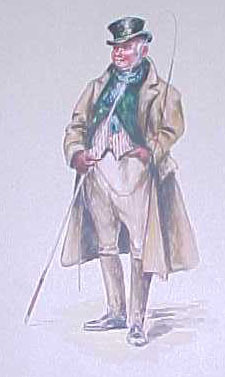 A coachman carried a whip with which he was said to be so expert that he could flick flies off his horses without startling them. Both the Guard and the Coachman … have given ample security to the Proprietors for their conduct, so that those Ladies and Gentlemen, who may be pleased to honour them with their Encouragement, may depend upon every Respect and Attention. Whether John Skudder was a ’king of the road’ or one of the poor earners is unknown but when his daughter was admitted to the School, the home address given was Eagle Assurance office which rather sounds as if he had perhaps changed occupation. However, a direct descendant of John Skudder later pointed out that ‘On the 22nd of April 1802 he was made a Mason in the United Grand Lodge of England, his occupation shown as Mail Coachman. His age is given as 32’. Seven years later, when he died (in 1809) his age was given as 49. He was buried in Great Yarmouth on the 18th June 1809. Mary Ann was admitted to the School in 1810 which fits with the death of her father but it does not explain why the ‘family’ address given in the School registers is the Eagle Assurance office. It seems unlikely that this little mystery will ever be solved! Following its success, many other companies set up similar businesses. 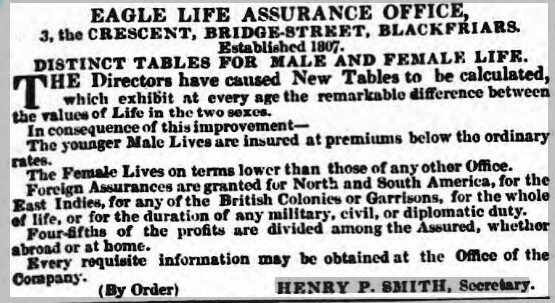 ‘Initially, each company employed its own fire department to prevent and minimise the damage from conflagrations on properties insured by them.’ http://heritage.aviva.com/our-history/companies/h/hand-in-hand-fire-and-life-insurance-society/ . They issued firemarks (now very collectible) to denote which premises were insured. This system had an unfortunate flaw in that burning buildings were ignored if seen not to be ‘one of theirs’. The solution was eventually to establish a municipal authority to which the insurance companies contributed to establish a town fire brigade. This almost worked in that the fire fighters took no notice of whose firemarks were there but rather favoured those buildings that were insured against those that weren’t! It is interesting, but entirely coincidental, that one of the early companies, several mergers later, became what is now Aviva but which was for many years Norwich Union – another East Anglian connection?